Julia Roberts will star in and produce a feature adaptation of the Batkid documentary Batkid Begins: The Wish Heard around the World. 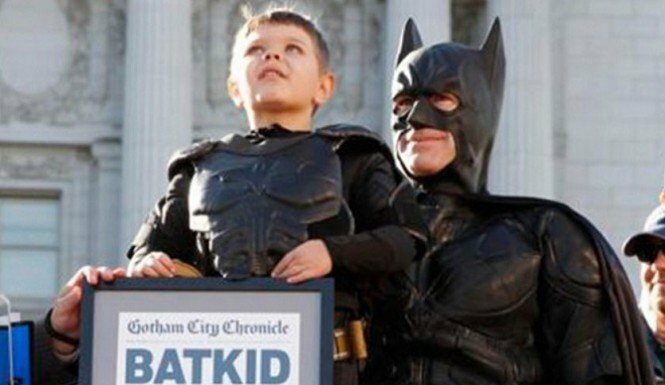 Batkid documentary, directed by Dana Nachman, is debuting at this year’s Slamdance Film Festival on January 24, and follows the story of Miles Scott, a 5-year-old boy diagnosed with leukemia who wanted to be Batman for a day. Julia Roberts will produce alongside partners Lisa Gillan and Marisa Yeres Gill through their Red Om Films banner. Dana Nachman will serve as executive producer with Josh and Dan Braun of Submarine.